Today’s Better Lettering Course prompt was a 2015 lesson/theme/word. 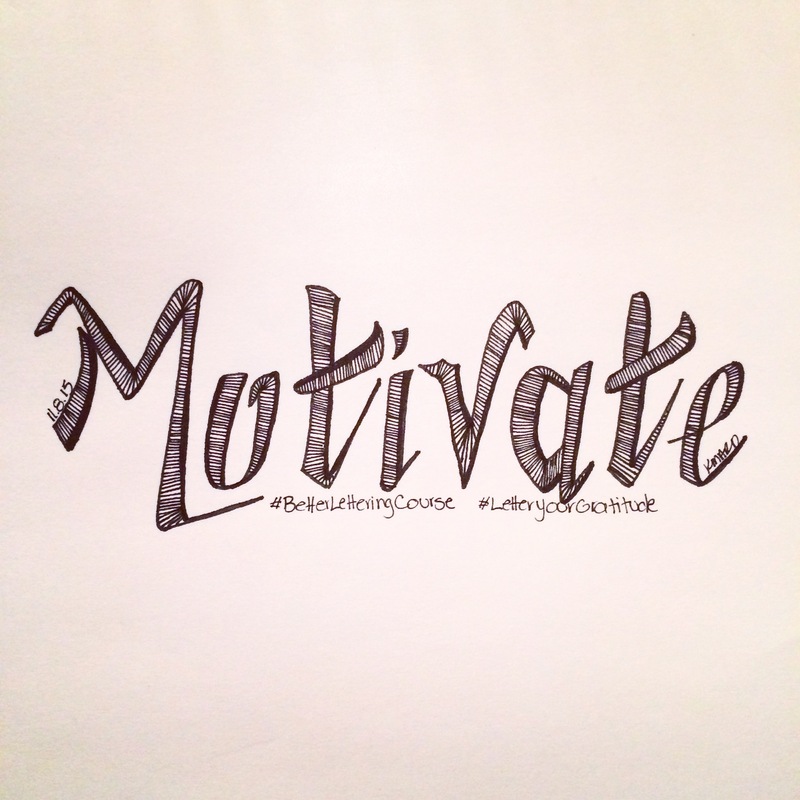 My One Little Word for this year was(is) MOTIVATE. Unfortunately I kinda ditched the word about halfway through the year. Some years I am better at sticking to my word than others, 2015 was not my best year. On the bright side, it’s never too late to motivate! Did you have One Little Word this year? Were you any better about sticking to it than I was? Let me know in the comments below!